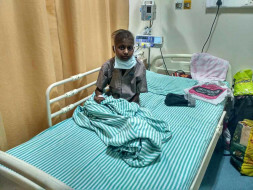 Swapna is a 13-year-old girl with an aggressive blood cancer. She has been suffering for the last one year. They have exhausted all their savings and Swapna's treatment is proceeding only thanks to the PM Fund. The day Pushpa received a call from her Swapna's school she knew that something was very wrong. Swapna had fainted. She had fever for the last one week but she had never fainted before. The medicines given by the doctors from the nearest town were not working. They knew they had to go to a better hospital. Swapna was taken to another hospital. Even they could not identify why her fever did not go down. Her body seemed to be fighting a serious infection. Swapna was getting weaker and her parents did not know what to do and where to take her. After visiting two more clinics in different towns near their village they decided to go to Hubli. 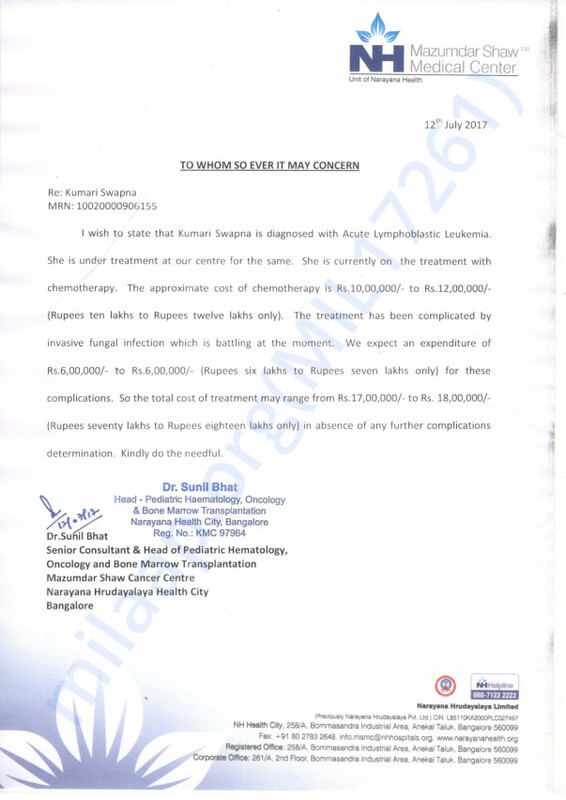 The doctors there were able to correctly diagnose Swapna's illness as blood cancer and recommended Vydehi Hospital, Bangalore. Swapna and her parents came to Bangalore in August last year. In the last one year, illness has drastically altered Swapna's personality Pushpa says. She has had fever for one year – with only short breaks. 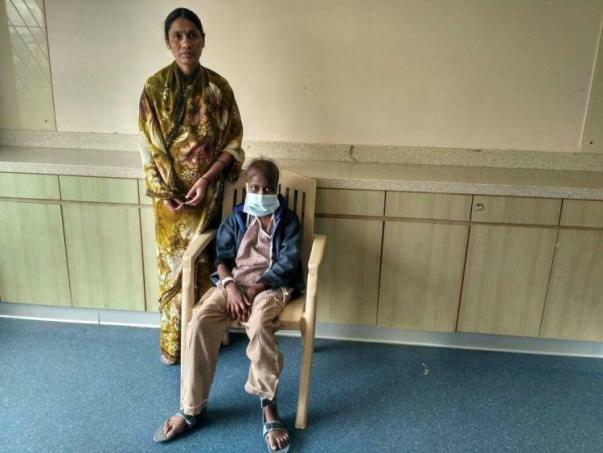 She has taken 4 cycles of chemotherapy and needs to take few more to slow down the cancer spreading through her blood to other parts of her body. 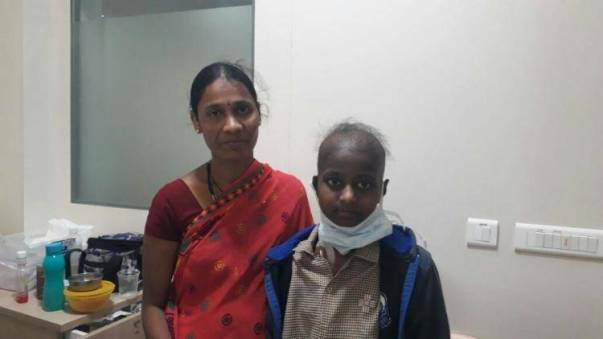 Even with the PM's relief grant, the family needs another Rs 18 lakhs to get Swapna treatment for cancer. 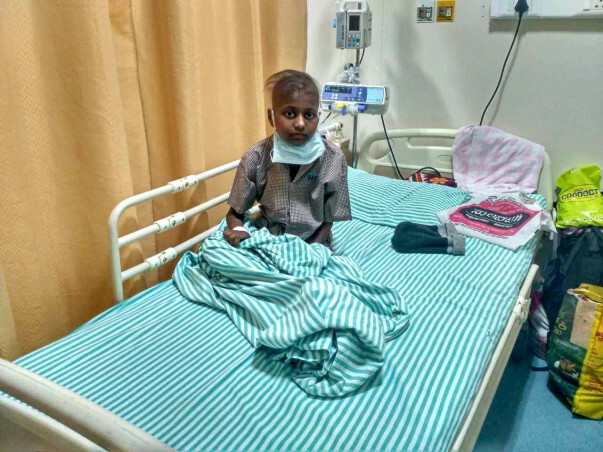 The family has already spent Rs 13 lakhs on the treatment so far. Raising 18 lakhs now is impossible for Sankarappa and Pushpa and they are despairing of saving their daughter. Swapna is bravely fighting the condition and is looking forward to going back to school. Her parents however, are facing the very real prospect of not being able to save her. They need your support in saving Swapna. Contribute now to save her. Swapna is no more with us. Swapna was undergoing her treatment but her health deteriorated and she couldn't make it. Thank you for the love and support you have shown towards Swapna. She is doing well. She is still on maintenance therapy as suggested by the doctors. There are good signs of progress. Keep praying for her health and speedy recovery. Here is an update on Swapna. She is doing well. Currently she is on Maintenance therapy which will last for another 9-12 months. She is responding well to the treatment.